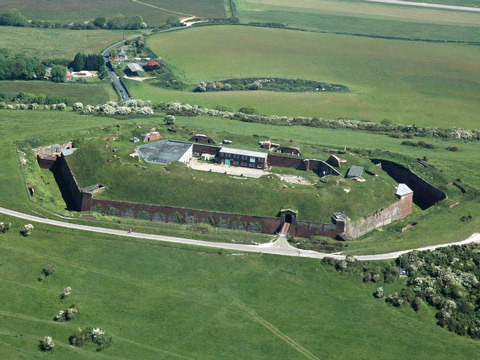 It is a six sided land fort surrounded by a deep dry ditch, built in the 1860's. It was armed with one hundred men and initially six 7" RML guns, though by the end of the century these had been replaced by two 6" BL guns. Owned by the National Trust since 1967, it is being restored.